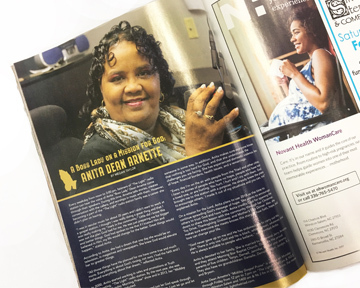 Our very own Anita has been featured in February’s edition of Forsyth Woman. At the beginning of the new year she was interviewed by the magazine. Boss Lady tells the story of her journey thus far in radio as well as her heart for what she does. To read the full story stop by the station to pick a copy or click here to find a location near you that carries Forsyth Woman Magazine.